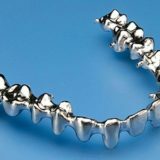 These are Nickel –Chromium crowns and bridges. 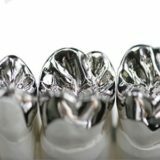 Compared with other crown types, less tooth structure need to be removed withstand biting and chewing forces well and probably last the longest in terms of wear down. The metallic color is the main drawback. 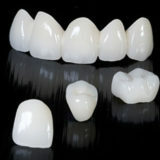 The metal ceramic or PFM crowns and bridges are one of the most widely used fixed restorations. 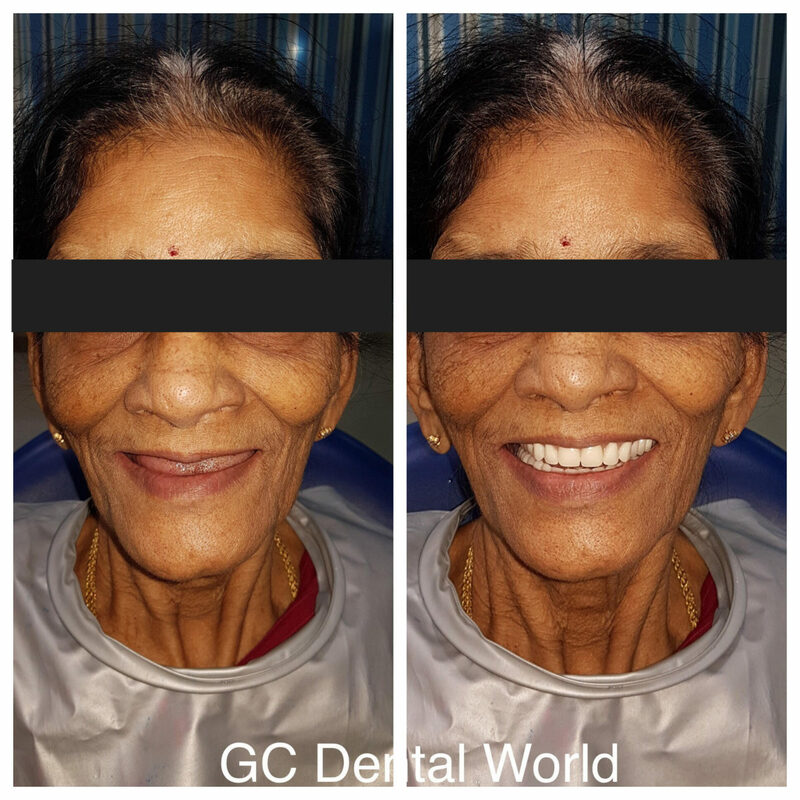 Restoration consists of a complete coverage cast metal crown that is veneered with a layer of fused porcelain to mimic the appearance of a natural tooth. 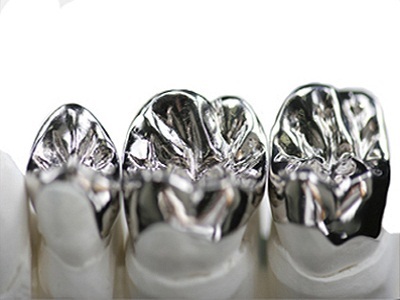 It is known as Direct metal sintered laser crowns.It is made with CAD-CAM technology. 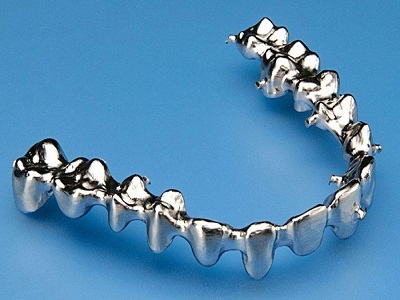 They are nickel and beryllium free, which prevents discoloration of the gums along the margins over a period of time which is caused due to leaching of metal.It is mainly recommended for long span bridges and are known to give very good accuracy. 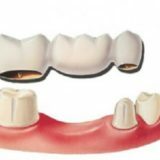 These crowns and bridges are made from zirconia with advantages like improved esthetics, resistance to chipping and vitality. 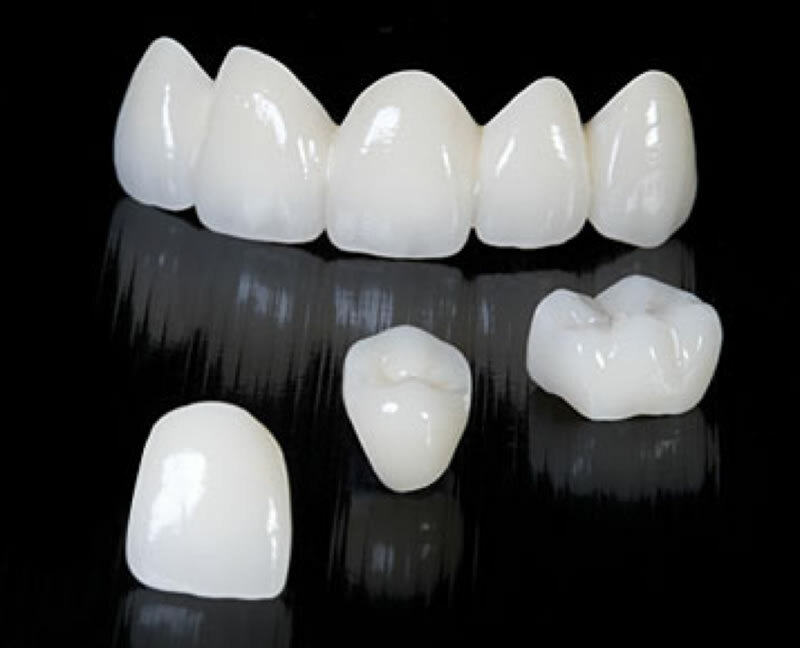 Designed using CAD-CAM Technology and are an ideal alternative to metal crowns, PFMs. 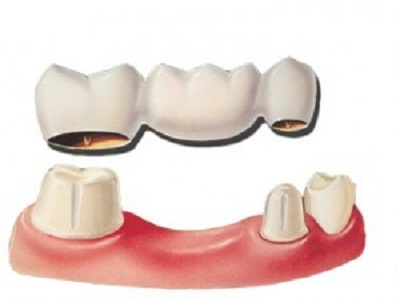 These are devices constructed to replace missing teeth; they are supported by the surrounding soft and hard tissues. 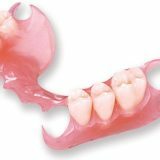 High impact veined, teeth (Ivoclar Germany): These dentures are designed using high impact veined teeth which are fabricated in layers giving more resistance to forces. High impact veined with permanent soft liner. 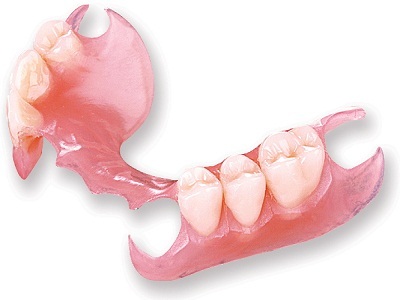 BPS (Ivoclar Germany): It is Biofunctional Prosthetic System and are the top line dentures. It uses injecton moulding processing system. 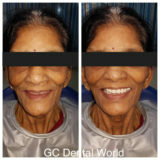 Its a Complete or Removable partial denture fabricated for replacement immediately after the removal of natural teeth. 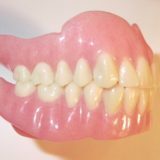 The most important factor is that you will never need to appear in public without teeth. It’s a temporary denture which can be worn upto 3-4 months. 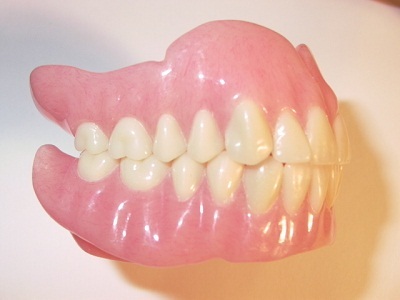 These are the prosthesis fabricated to replace one or few missing teeth. 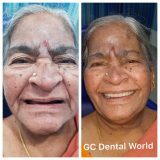 This is a prosthesis that replaces missing natural teeth receives its support from remaining adjacent modified natural teeth.